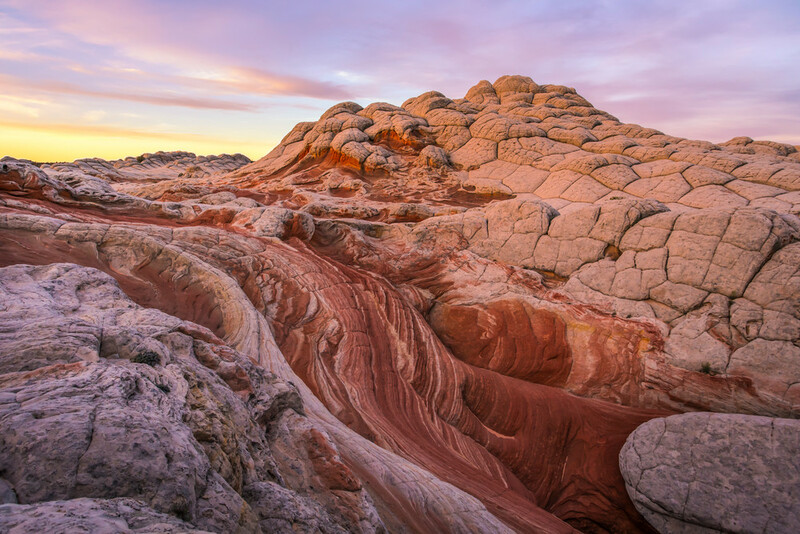 Watching the sunrise over White Pocket is a treat. The first rays hit the clouds then you wait until the Brain Rocks start to glow. All during this time photographers are racing all around looking for unique images as the light dances!